I’m just gonna go ahead and confess, I am somewhat of a cookbook hoarder. I like to say collector, but either way, my cookbook collection is getting pretty ridiculous. Not that I plan on parting with any of them. So when someone is getting me a gift, and they want to be sure it’s something I will love, it’s pretty much obvious what to get. And the most resent gift I’ve gotten are these. My mom was kind enough to get me these books for no special occasion. Although, I kind of feel like her underlying intention was to have me cook for her since some of the pages were already doggy eared 🙂 So in total, this brings my cookbook tally to 26, not including magazines. I know, I need help! I have seen these books before, and I have to admit, I am totally skeptical, although so excited at the same time. 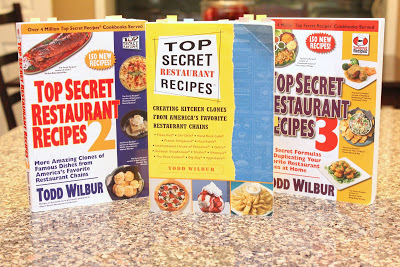 There has been so many times that we’ve gone out to eat, and I think, “Oh, I so want this recipe!” So, I have high hopes for recipes that I have already marked to try, but, that means that I have an even higher expectation. So we’ll see. I made these Cheddar Bay Biscuits last night for a recipe swap, and I have to admit, being the first recipe I’ve tried from these books, it was pretty spot on. I don’t know if anyone has actually been to Red Lobster? I’ve been once or twice. Mostly because, if I’m gonna eat fish, it better not taste or smell like fish, and that smell pretty much smacks you in the face when you walk in the doors at that restaurant. But my one or two times I have gone, these biscuits left an impression. Flakey and garlic-y and buttery and then you add the cheese. Uh! How can you go wrong with that? Like I said, I don’t go to Red Lobster enough to compare the two side by side, but I would say that these biscuits are pretty comparable and not to mention so yummy! Enjoy!! Estimated Cooking Time: About 25 to 30 minutes. Preheat your oven to 400 degrees. Combine Bisquick with cold butter in a medium bowl using a pastry cutter or a large fork. You don’t want to mix too thoroughly. There should be small chunks of butter in there that are about the size of peas. Add cheddar cheese, milk and 1/4 teaspoon garlic powder. Mix by hand until combined, but don’t over mix. Drop approximately 1/4-cup portions of the dough onto an ungreased cookie sheet using an ice cream scoop. Bake for 15 to 17 minutes or until the tops of the biscuits begin to turn light brown. 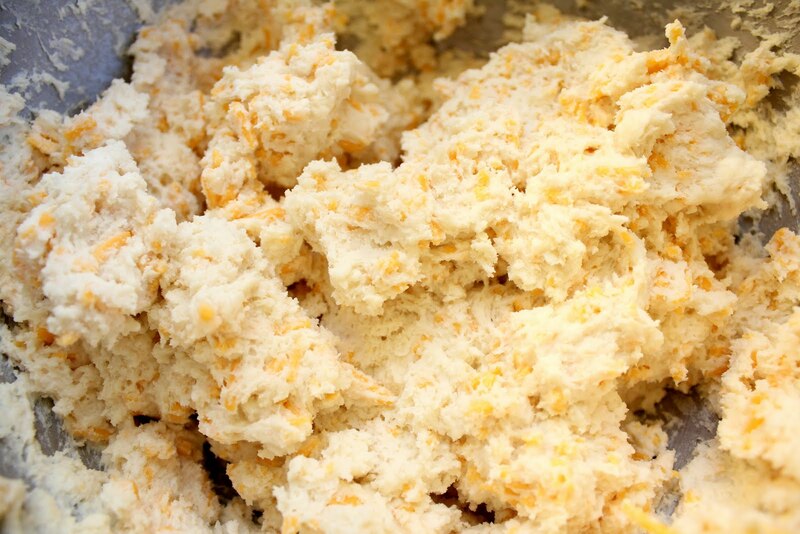 When you take the biscuits out of the oven, melt 2 tablespoons butter in a small bowl in your microwave. Stir in 1/2 teaspoon garlic powder and the dried parsley flakes. Use a brush to spread this garlic butter over the tops of the biscuits. Use up all the butter. Makes about a dozen biscuits.